Shomali, T., Nazifi, S., Ahrari-Khafi, M., Hamedi, S., Sabaghzadeh-Irani, P., Sanaei-Ardakani, F. (2013). Growing Rats Are Resistant to Bone Loss Associated With Short-Term Hypercholesterolemia: A Preliminary Experimental Study. Iranian Journal of Pharmaceutical Sciences, 9(4), 61-68. Tahoora Shomali; Saeed Nazifi; Mohammad Saeed Ahrari-Khafi; Somayeh Hamedi; Parinaz Sabaghzadeh-Irani; Fahimeh Sanaei-Ardakani. "Growing Rats Are Resistant to Bone Loss Associated With Short-Term Hypercholesterolemia: A Preliminary Experimental Study". 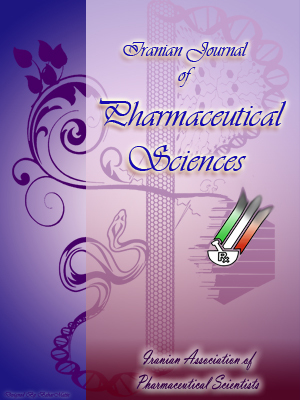 Iranian Journal of Pharmaceutical Sciences, 9, 4, 2013, 61-68. Shomali, T., Nazifi, S., Ahrari-Khafi, M., Hamedi, S., Sabaghzadeh-Irani, P., Sanaei-Ardakani, F. (2013). 'Growing Rats Are Resistant to Bone Loss Associated With Short-Term Hypercholesterolemia: A Preliminary Experimental Study', Iranian Journal of Pharmaceutical Sciences, 9(4), pp. 61-68. Shomali, T., Nazifi, S., Ahrari-Khafi, M., Hamedi, S., Sabaghzadeh-Irani, P., Sanaei-Ardakani, F. Growing Rats Are Resistant to Bone Loss Associated With Short-Term Hypercholesterolemia: A Preliminary Experimental Study. Iranian Journal of Pharmaceutical Sciences, 2013; 9(4): 61-68. 1Division of Pharmacology and Toxicology, Department of Basic sciences,Shiraz University, Shiraz, Iran. 3Division of Surgery and Radiology, Department of Clinical Studies, School of Veterinary Medicine, Shiraz University, Shiraz, Iran. 4Department of Basic Sciences, Faculty of veterinary medicine, Islamic Azad University-Karaj Branch,Karaj, Iran. We aimed to evaluate the potential of growing rats as a model of osteoporosis induced by short term hypercholesterolemia. Twelve growing female Sprague-Dawley rats were randomly allocated into two groups. Control rats received standard diet while rats in group 2 were fed with diet contained 20% sunflower oil, 2% cholesterol and 0.5% cholic acid for 2 weeks and then a diet contained 10% sunflower oil, 1% cholesterol and 0.25% cholic acid for the next 4 weeks. At the end of second week, serum total cholesterol level was assayed which was repeated at the end of the 6th week along with serum carboxy-terminal collagen crosslinks (CTX) and procollagen type 1 N propeptide (PINP) levels. Finally, rats were euthanized and right and left tibiae were dissected for histomorphometric study and determination of bone mineral density, respectively. Hypercholesterolemia was present in rats of group 2 in both sampling times. No significant difference was observed in body weight, epiphyseal and metaphyseal histomorphometric parameters and mineral density as well as serum CTX and PINP. Although this was a preliminary study with relatively low sample size, it seems that growing female Sprague-Dawley rats do not show bone loss due to short term hypercholesterolemia and may not be a proper animal model in this regard.